I love this house! 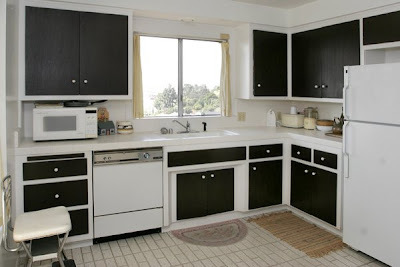 I realize that if I were to move into this home that I would totally have to change my decor to 60s chic. Hoever, If I lived in this house would totally be alright with that! I was hired to photograph some real estate photos and virtual tours for this house in Pasadena back in April (I'm very behind on my posts!) The exterior of the house was normal if not a little plain and hidden behind big shrubs and hedges. However, the minute the owner opened the front door, I was sold! 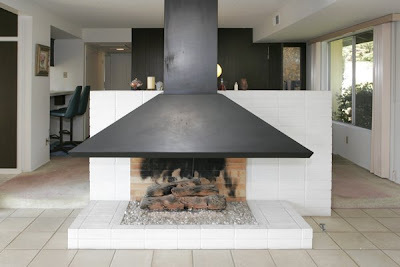 Right inside the door is the coolest fireplace. 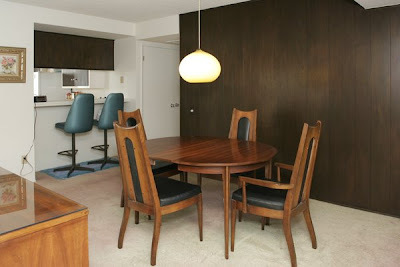 Not only that but the dining room has the same dark wood paneling that I grew up with in our 1960s house, and the most perfect dining room table and light fixture that room could have. This house was amazingly preserved! 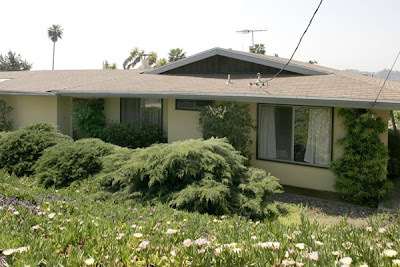 Chuck(the homeowner)took great pride in his hilltop house in Pasadena. 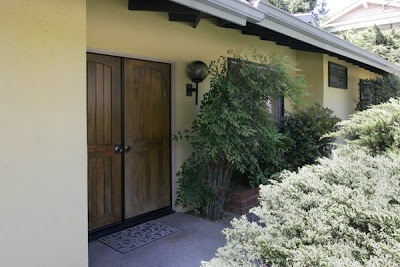 The house was built in 1968 and he bought the home from the builder in 1969. I wish him lots of luck selling his house. I hope it's someone who can really appreciate some of it's 60s charm. Take a look at the virtual tour here and that view!